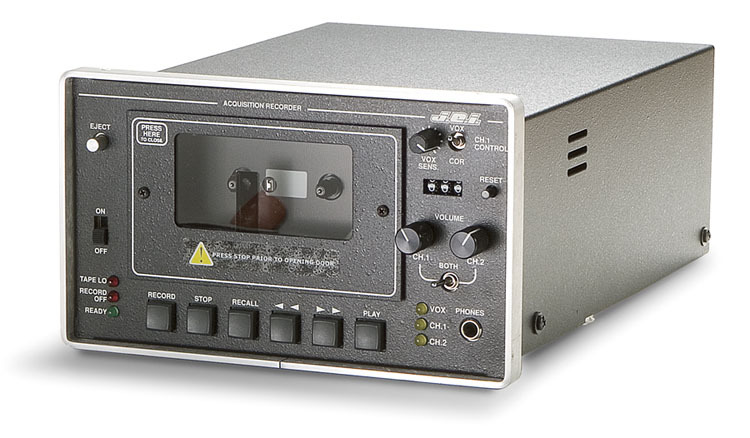 The JEI Model 805C is a compact, half-rack width, standard speed analog cassette voice logging recorder. It can be connected to two-way radio and telephone systems thru JEI line interfaces to record voice communications. 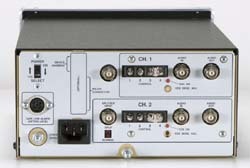 Two 805C Recorders can be mounted side by side in a rack or one 805C with one AP-109 or AP-118 Audio Switching Panel. 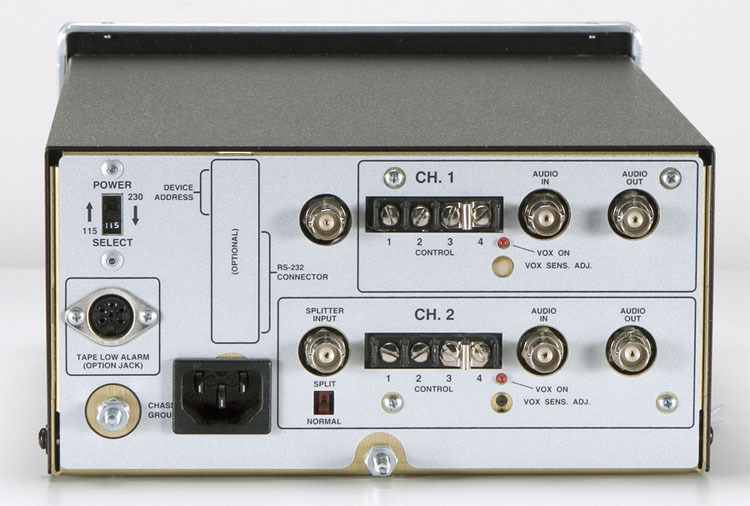 This unit is designed for radio and telephone communications recording. The 805C is equally effective in commercial and military/security installations. 1. Two voice activated (VOX) or manually operated channels. 2. The 805C uses standard audio cassettes. Stock - 1-second audio delay. Stock - Footswitch for transcribing.